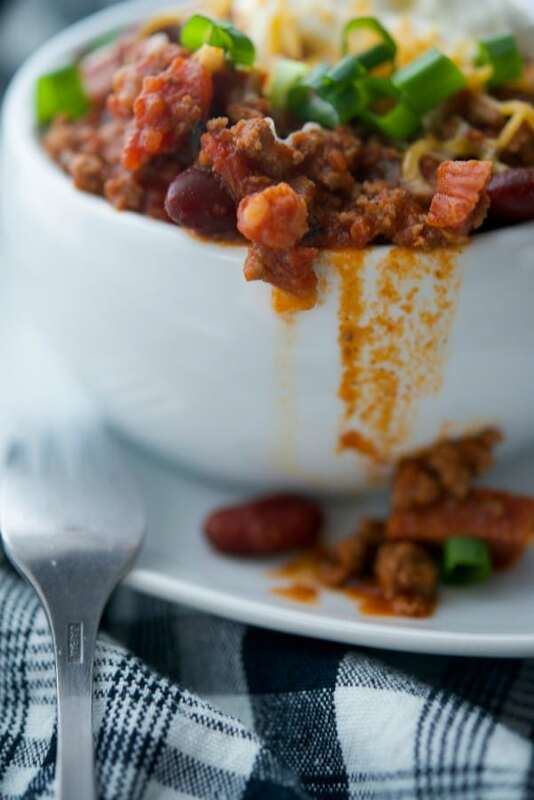 Hearty Chorizo Chili made with lean ground beef, Portuguese chorizo, kidney beans, fire roasted tomatoes and seasonings is comfort food at its best. 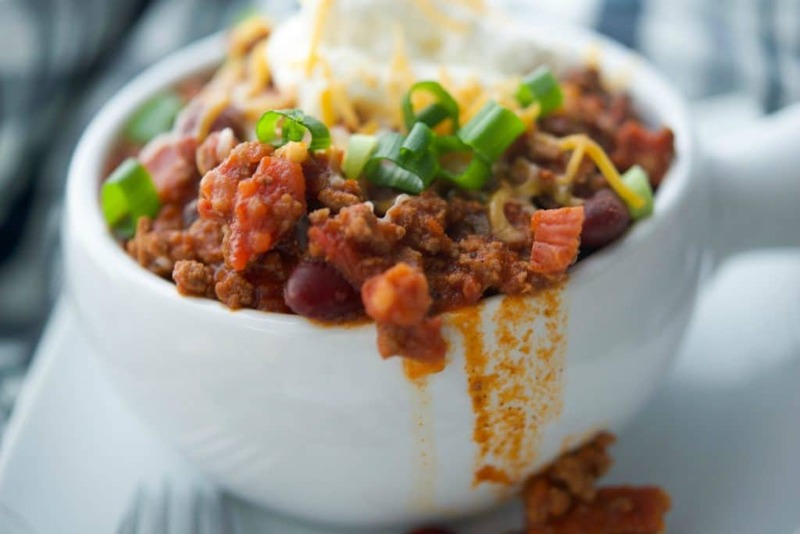 Whenever I’m in the mood for chili, nine times out of ten I’ll make this one with ground chicken. 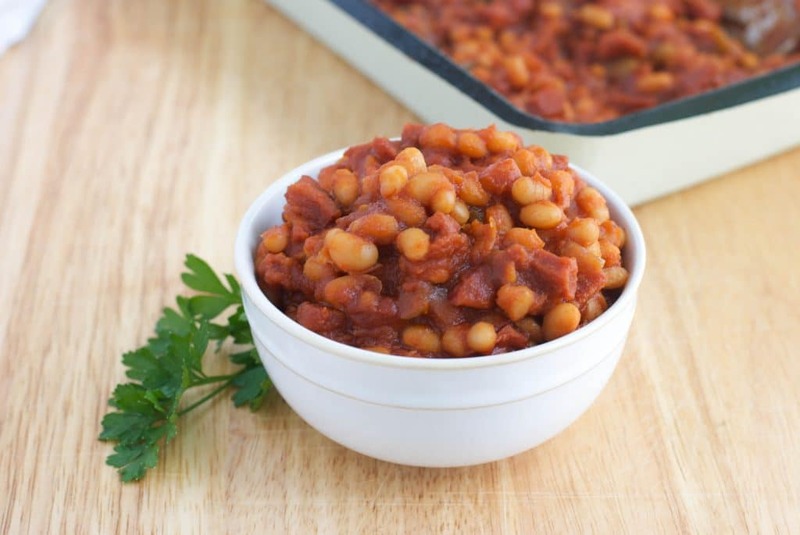 It’s one of my favorites and super healthy. 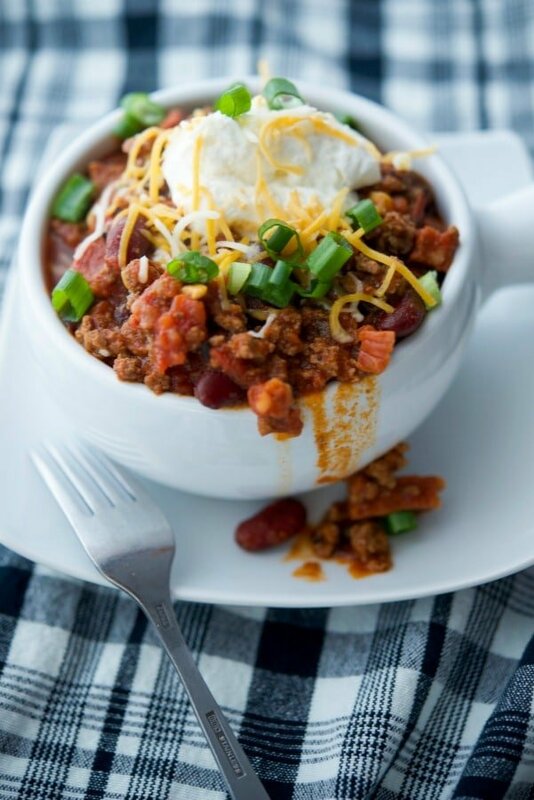 But every now and then I crave a classic beef chili and decided to make a new version using some of the Portuguese chorizo I had left in the freezer to make this Chorizo Chili. 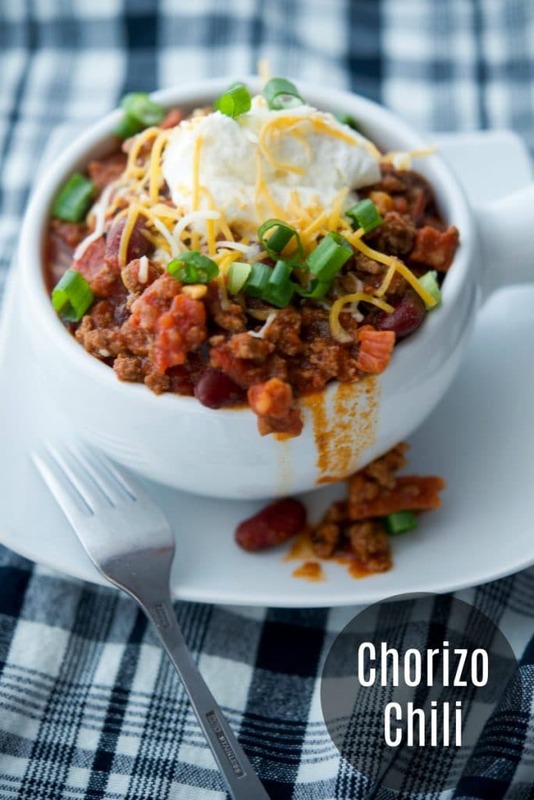 Chorizo is a type of sausage that has large pieces of pork combined with seasonings like paprika and garlic that has a smoky flavor. 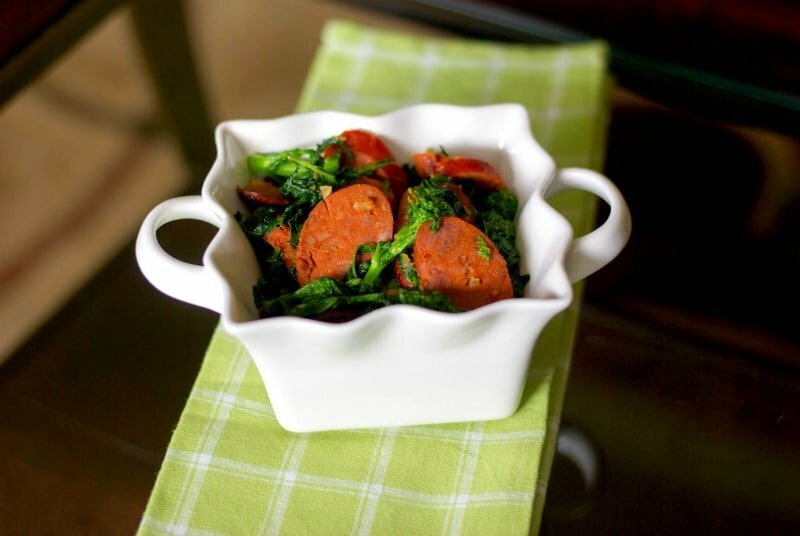 We purchase the Portuguese version from Fall River, MA where some of my father in laws family resided after coming to America from the Azores because that’s the type he grew up on; however, chorizo can be made differently with slight variations like the Spanish or Mexican variety; as well as have different names/spellings like chourico and linguica. 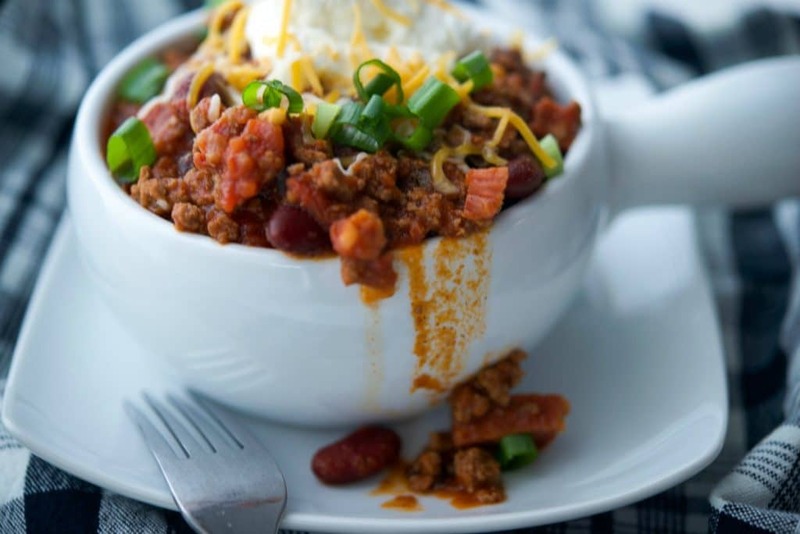 Chili is the perfect meal during winter months because not only does it warm you up on a cold day, it’s so satisfying that a little goes a long way. 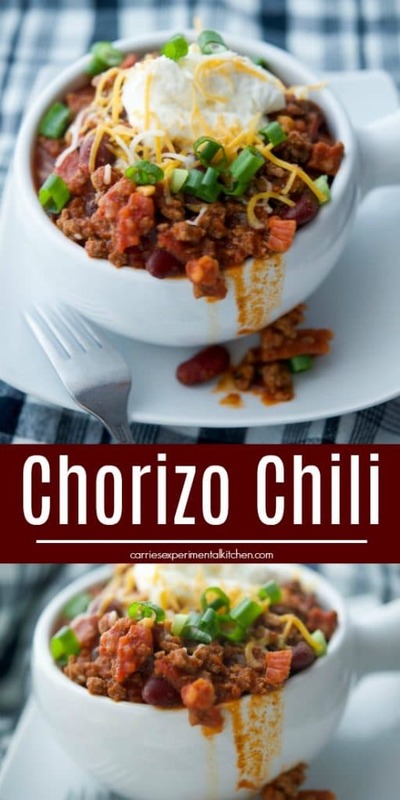 I made this Chorizo Chili on top of the stove in about an hour, but you can also prepare the ingredients, place them in your crock pot and cook on low while you’re at work too for a quick weeknight meal. 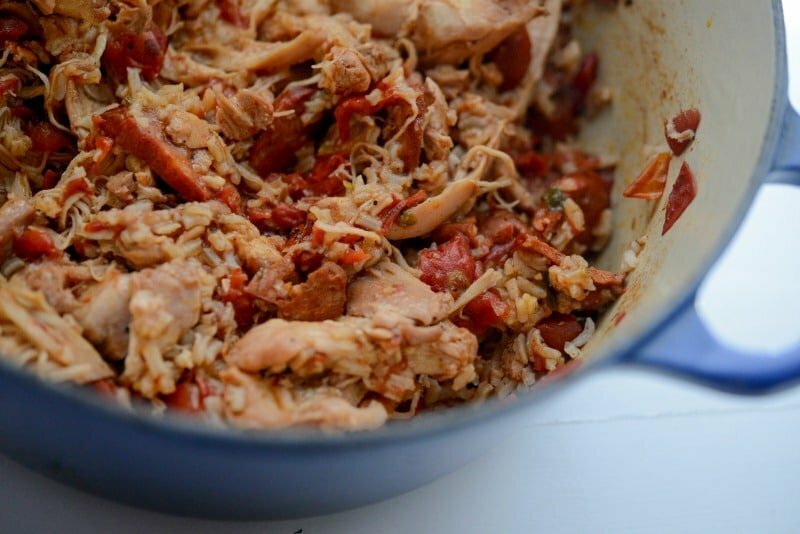 Start by browning the ground beef in a Dutch oven or large pot; then add the diced chorizo and brown for another 3-4 minutes. Next, add the scallions, garlic and any other vegetables to the pot and cook for another 1-2 minutes until they start to soften. Finally add your remaining ingredients and mix well. 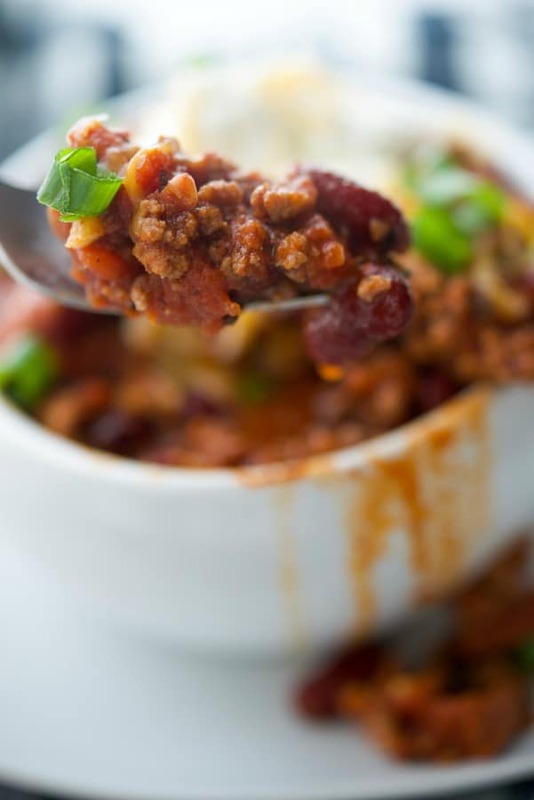 Lower the heat to a simmer and cook for 45 minutes, stirring occasionally; then adjust your seasonings, adding some salt to your preference. I start out with a little chili powder and ground cumin to begin with, but you’ll want to wait after the chili has had some time to absorb the flavors to add more if you generally like your food a little spicier because sometimes you won’t know how spicy the chorizo will make your chili until after it’s been cooking for a while. 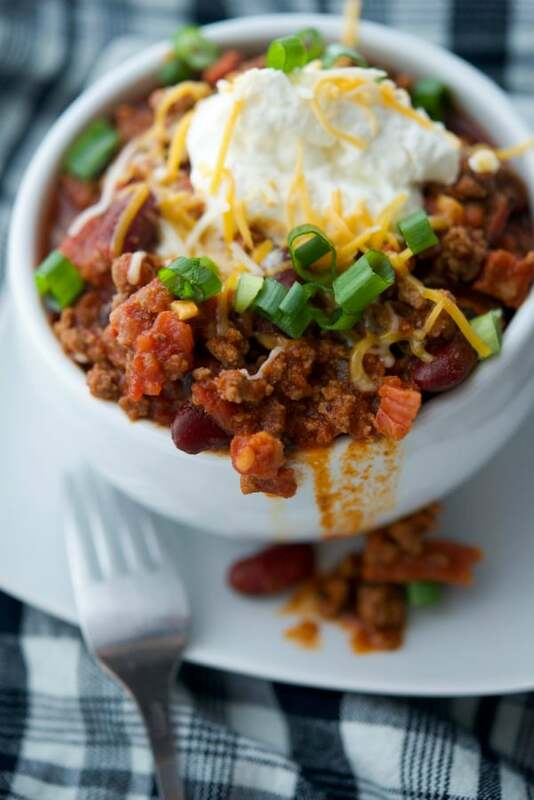 This recipe makes 8 cups and you can eat this Chorizo Chili as is or add toppings like sour cream, shredded Cheddar cheese and/or extra scallions like we did. ~Enjoy! 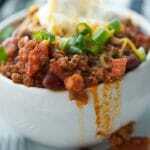 Add the ground beef to a Dutch oven or large pot and brown; then add the chorizo and cook for another 3-4 minutes. Next, add the scallions, garlic and any other vegetables to the pot and cook for another 1-2 minutes until they start to soften. Finally add your remaining ingredients and mix well. 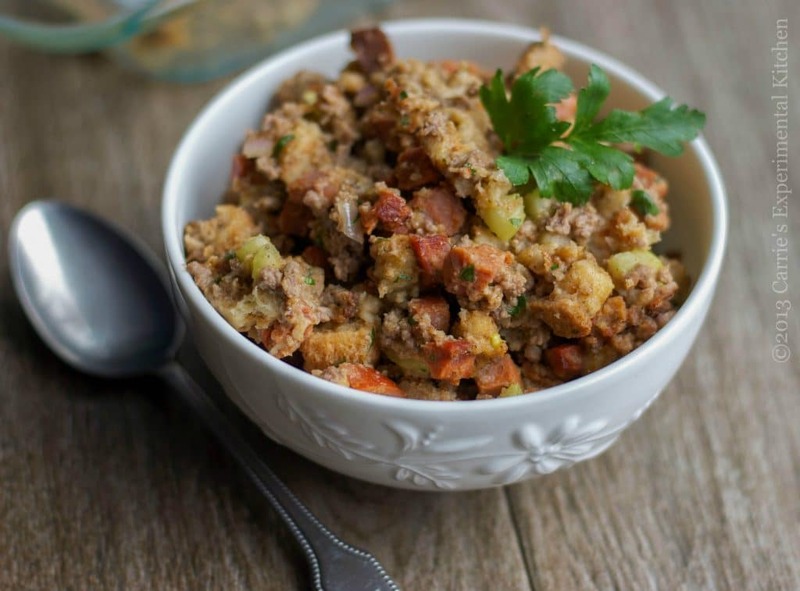 *You can also use Spanish or Mexican chorizo in place of the Portuguese variety and add other vegetables like onions and peppers.